Microsoft released a preview of the upcoming service pack to Windows 8, named Windows 8.1 and also codenamed Windows Blue. As a user of Windows 8, I wanted to see what are the changes that could be expected when the update becomes live and therefore decided to fire up and test the new OS inside VirtualBox. I downloaded the 64-bit ISO from this webpage. The page also gave away a preview product key to be used. 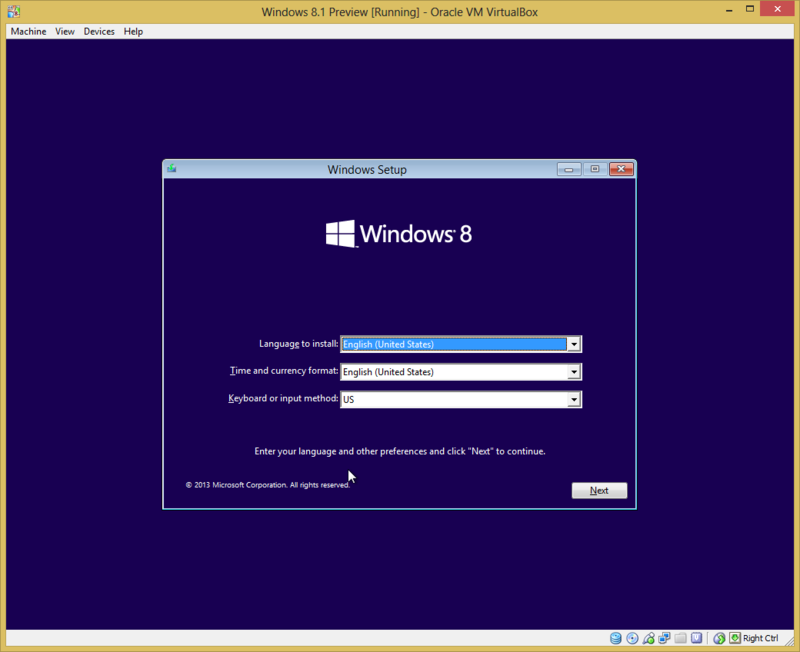 Then, I created a new virtual machine inside VirtualBox using the default WIndows 8 configuration. I then turned on both 3D and 2D acceleration support, and mounted the Windows 8.1 ISO to the virtual machine. 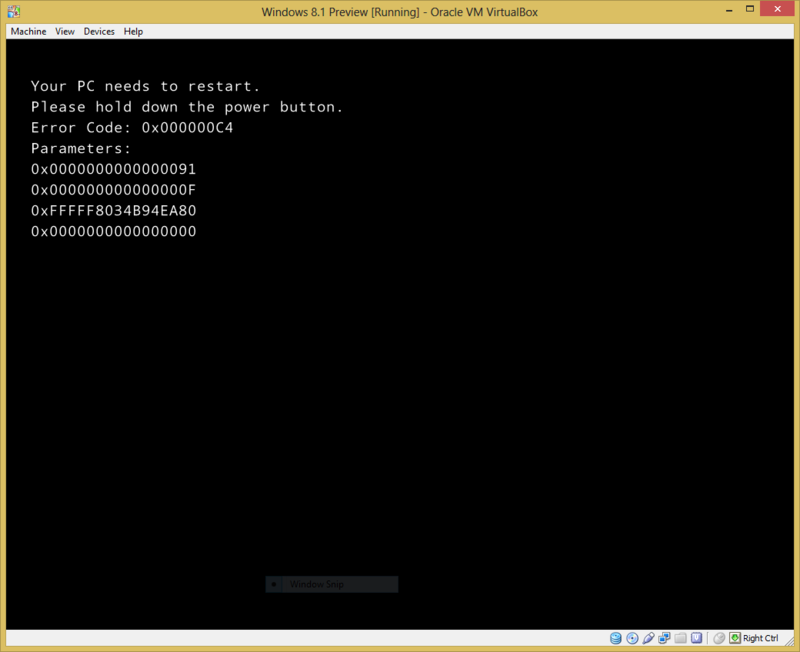 However, the virtual machine failed to boot with 0x000000C4 error. Luckily, someone else had already come across this problem, and created a VirtualBox support ticket. 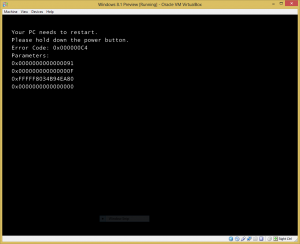 The solution can be found here, which requires an extra setting to be configured on the virtual machine. Now the ISO booted fine, and the installation can begin.